Chino House can do almost anything no matter what the size of your order. Small workable minimums may apply. Just tell us what you need! 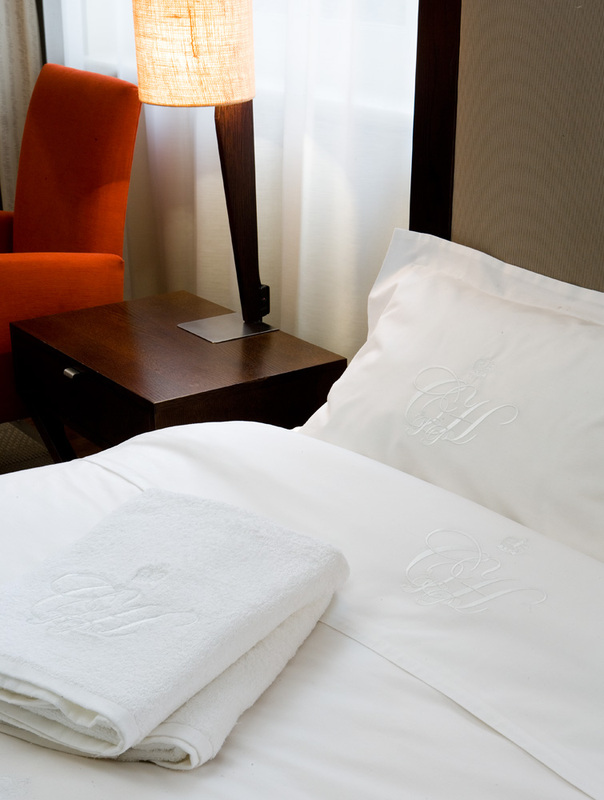 We can add your hotel logo or other embroidery at a nominal cost. All our bed linen styles can have a single or double stripe computer embroidered along the hem of a top sheets and on the flange of pillowcases and quilt covers all in the colour of your choice. No minimums are required for this very special process. 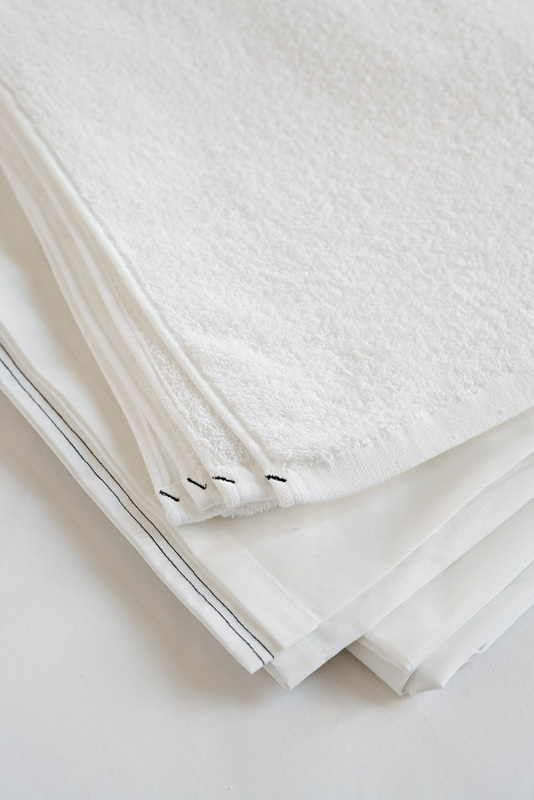 We can add custom identification to bed linen, such as coloured ID computer embroidered “dots” in the corners or we can simply use a differant colour sewing thread all at next to no extra cost to you, for easy identification of differant sizes, or where staff linen and guest linen for different areas of the hotel is being laundered together. We can add your custom hotel label at extra cost. Just ask! 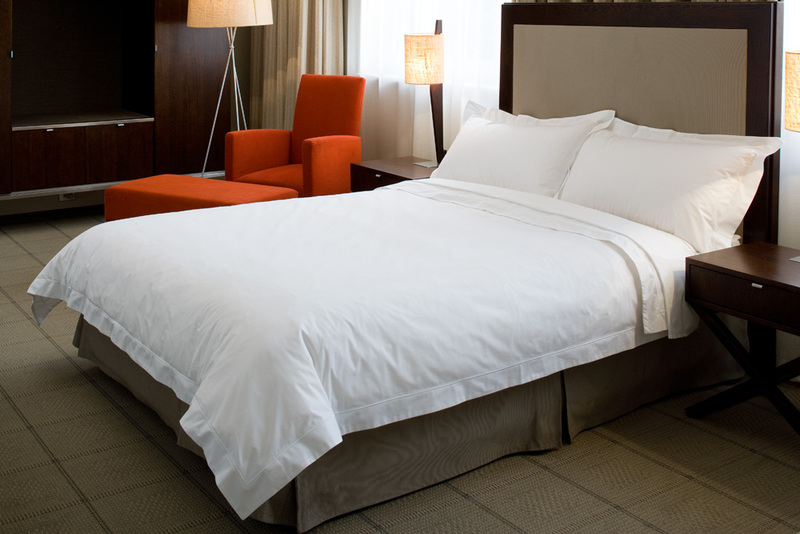 All bed linen can be made to your exact size requirements. Speak to us about your requirements.